One hundred and fifty years ago today, Union and Confederate forces clashed for five bloody hours on the fields in and around Franklin, Tennessee. It would be, though they didn't know it at the time, the last significant pitched battle of the terribly uncivil Civil War. Confederate troops, under the command of General John Bell Hood, had skirmished with Union troops, under the command of Major General John Schofield, for several days from the Tennessee River at the Alabama border, through the towns of Columbia and Spring Hill. And then, with Scofield's men dug into breastworks along the southwest edge of Franklin, Hood ordered an ill-advised charge down Winstead Hill. More ferocious, more protracted, and more deadly than even Pickett's Charge at Gettysburg, the assault continued long after dark amidst freezing rain and withering fire. The slaughter was horrific. There were more than 7,000 casualties. 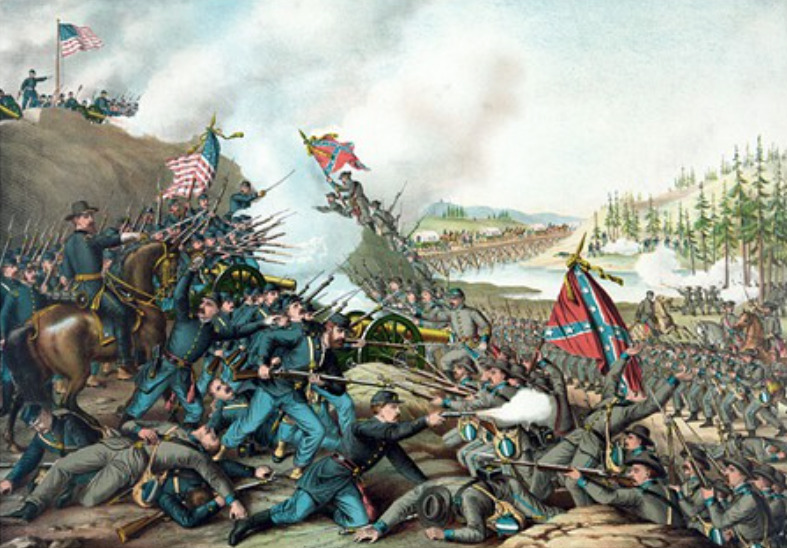 The Confederates lost 55 regimental commanders and 6 generals. Though they technically won the battle, the losses were so great that their capacity to continue the war was effectively ended. I traveled the graveyard at Carnton a few years ago and discovered one of my fallen kin, and pledged not to forget his sacrifice to defeat an emperial tyrant. How ever justified the freedom of a people may have been, it was the spark giving birth to the fire that now is destroying the freedoms of all people. George, if the whisper of Christian righteousness is destroyed in the South ,the nation falls completely into darkness. Though not perfect, it is the culture in the South that preserves both freedom and Christendom for all in the nation. E.Chapman, CSA South Carolina, died defending a nation from an invader, I wonder what I am willing to do to preserve a free nation for my progeny.